I was asked in the previous post to put this up. Not terribly exciting this one as the scribe didn't go for an actual nun hafucha (or the slanty version or the nun sofit inverted regel type tag I have seen) - though the lech l'cha tradition is there. 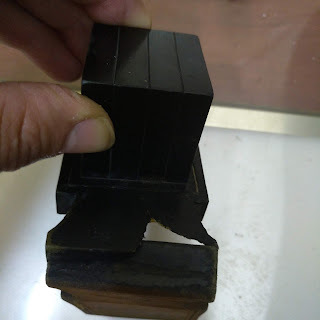 Can someone please enlighten me on the round shinim? 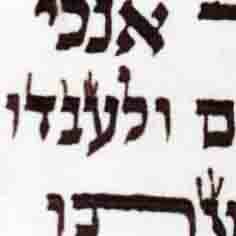 Many ashkenazic scripts wrote the shin rounded at the bottom. [some base this on cisvei ha'Ari - not the famous instruction of the Ari in regard to tzuras ha'oisyos in tefilin]. 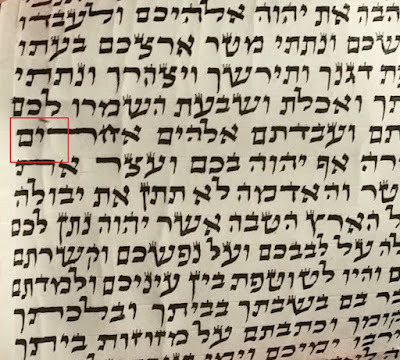 The peh melufaf can be seen in many torahs that are 100-200 years old. So your statement of the gezera seems odd. Whats your source?